INTRODUCING CHARM & CHARISMA! 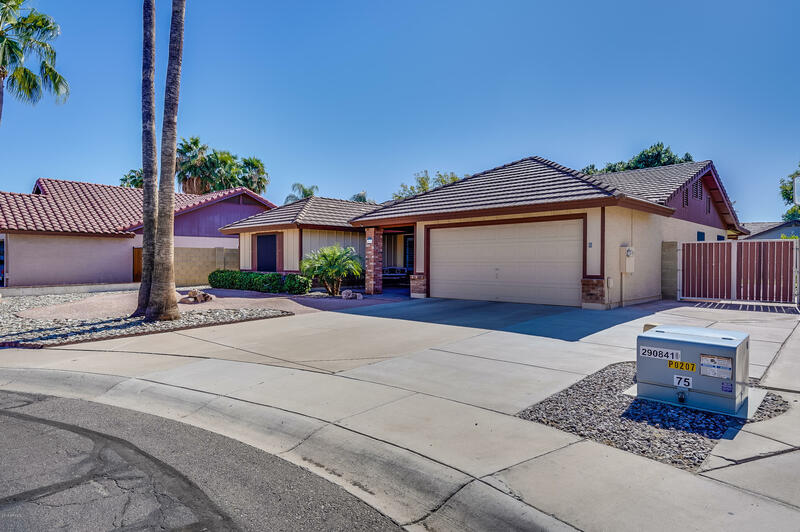 THIS CUL-DE-SAC LOCATION HOME HAS A PRESTINE CURB APPEAL, BEAUTIFULLY PAVERED FRONT COURTYARD, AN RV GATE AND NO HOA! THE INVITING FLOORPLAN W/ SOARING VAULTED CEILINGS FEATURES A GREAT ROOM & AN ELEGANT FORMAL DINING AREA WHICH MAKES THIS HOME PERFECT FOR ENTERTAINING. CHECK OUT THE OPEN KITCHEN W/ MAPLE CABINETS, BREAKFAST BAR, NOOK AREA & BLACK APPLIANCES . INSIDE LAUNRY ROOM W/ UPGRADED UPPER CABINETS. OVERSIZED MASTER BEDROOM W/ WALK-IN CLOSETS & CUSTOM SHELVES. MASTER BATHROOM W/ DUAL SINKS. SPACIOUS ROOMS W/ CEILING FANS. NEWER 2-TONE PAINT & UPGRADED CUSTOM SHUTTERS THROUGHOUT. UNLIMITED WATER PLAY IN THIS INCREDIBLE BACKYARD W/ A SPARKLING POOL, LARGE PATIO, GRASS AREA & A GRACIOUS SIZE SIDE YARD. DON'T DELAY, SEE THIS HOME TODAY!